ZA202 - Taxiway Edge Light - ATG Airports - Description - Inset taxiway or low intensity runway light; inset helipad edge light; security or traffic control light. 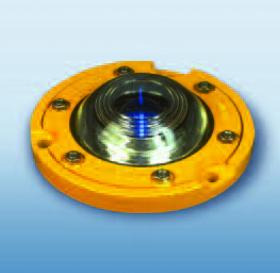 Taxiway, helipad or runway edge light using J1 series lamps. Also 240V mains version available. (B.C. or E.S.) Security light for vandal proof illumination of carparks, subways etc. or for under vehicle inspection at access/control points to secure facilities such as airports, barracks and other high risk sites. Traffic light for mini roundabout identification, bollard illumination, traffic lane separation etc.